New Como partnership with the private jet company Chapman Freeborn. 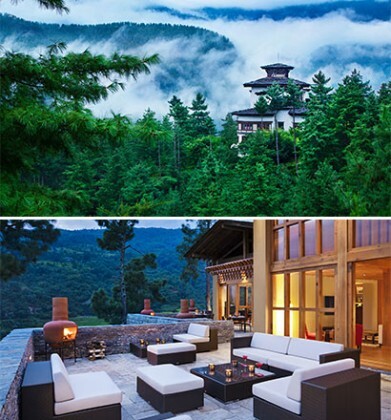 In partnership with private airline company Chapman Freeborn, Como Hotels & Resort is offering the opportunity to discover Bhutan with a “Luxurious Himalayan escape”. From the city of your choice, a private jet will transport you to Paro airport before you transfer to the comfort of an Uma by Como lodge in the valley of Paro, followed by a continued journey further north into the valley of Punakha. Guests will have the opportunity to discover the wonders of Bhutan and its capital Thimphu accompanied by an English speaking guide, with white-water rafting in the lively waters of the Mo Chu River or attending a performance of traditional dances before relaxing at the spa for a massage.